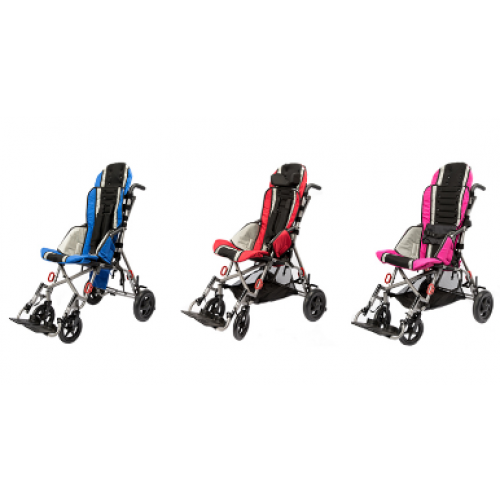 Inspired by Drive Trotter Pediatric Mobility Chair has been newly designed to offer a more dynamic pediatric stroller for children with special needs. 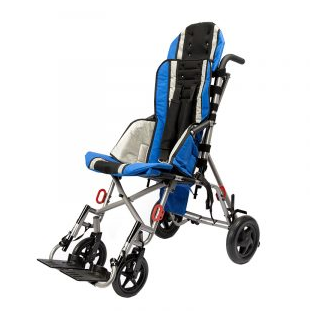 The lightweight titanium frame is foldable for ease of use and storage making it easier to maneuver and transport over using bulky wheelchair. Transit Tie-Downs are available for purchase and in compliance with WC-19 which have been crash tested for safety. 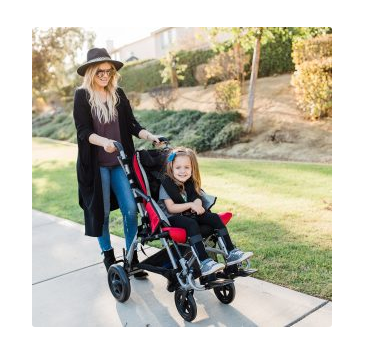 There is a high degree of versatility found with the Trotter Mobility Chair to make it as comfortable as possible for the child and for the caregiver. 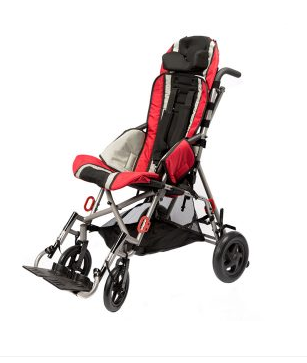 It features an adjustable seat depth so the seat can grow with the child. 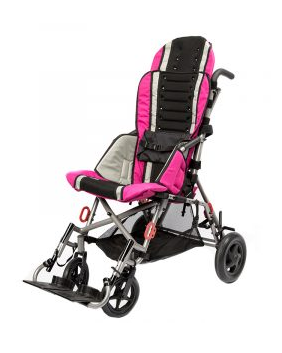 It also adds safety using Adjustable Tension Positioning (ATP) straps with adjustable seat-to-back angles. Inspired by Drive uses its Poziform pelvic belt and five-point harness with built-in padding that's breathable for comfort and support. The harness offers padding that's breathable to ensure both comfort and safety. The upholstery is also padded which is an upgrade from its first prototype. 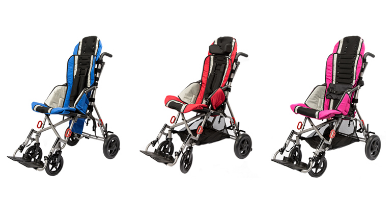 The new generation Trotter stroller upholstery is available in three vibrant and playful colors: Fire Truck Red, Jet Fighter Blue and Punch Buggy Pink. The standard features includes 8-inch front casters and 10-inch rear wheels with toggle lock when in stationary mode. A foot pedal is added to the rear wheel to assist with mobility over curbs. Optional accessories are available for convenience such as canopy, under seat storage carrier. 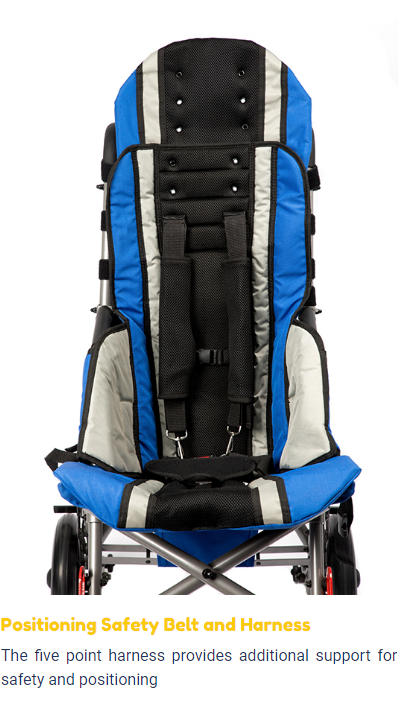 There are additional head and lateral supports available when a child requires more care. When a child with physical disabilities is learning to walk, Inspired by Drive also manufactures the Moxie GT Gait Trainer to safely assist a child or adult. Product Weight 33 lbs. 34 lbs. 35 lbs. 36 lbs.